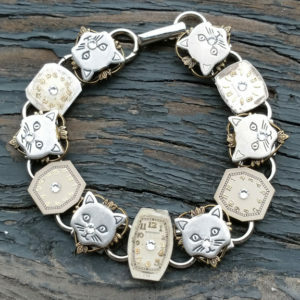 “Meow” really isn’t the time… to not buy this bracelet! 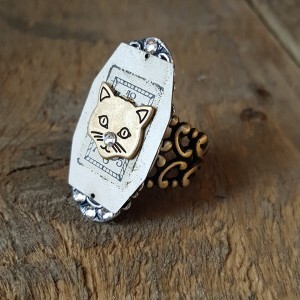 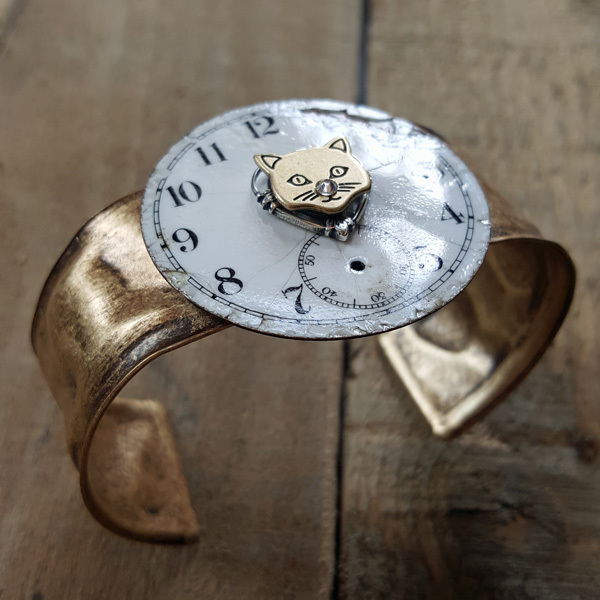 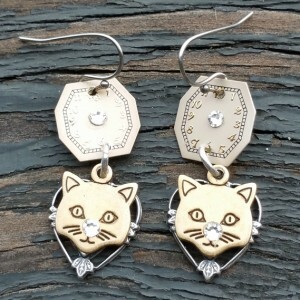 Made with a genuine antique watch face and a real Swarovski crystal accent, this cuff bracelet is “purrfect” for the cat lover or anyone who enjoys a good pun. Mixed metal with an adjustable cuff that fits most wrist sizes. 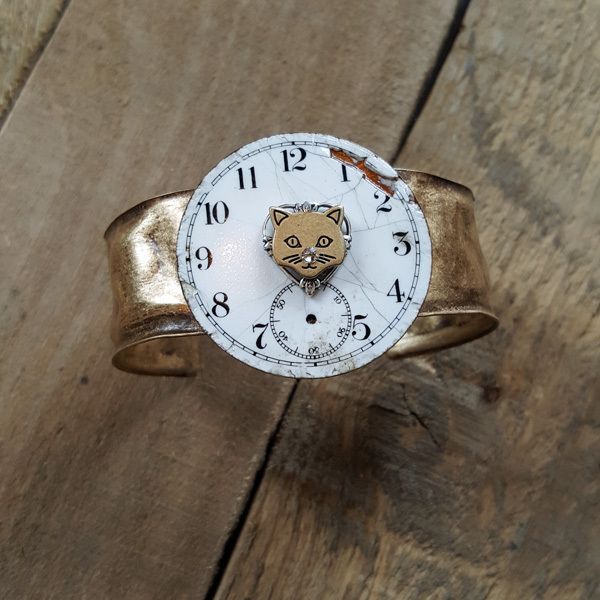 Due to the nature of antiques, watch faces will vary.